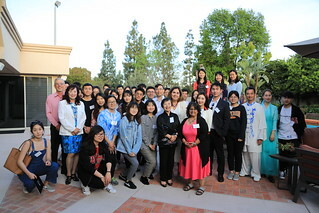 On Monday, April 8, SDSU President Adela de la Torre hosted a reception for Chinese international students at the University House. Around 60 Chinese international students, faculty and staff participated in this event. During the reception, CISDSU Co-Director Yibin Wang, Six Arts Instructors Professor Rensong Li and Dan Liu performed Chinese instruments Guqin & Guzheng as well as Taichi to the guests. On April 6th, 2019, the 10th annual International Fair at Riverview International Academy attracted thousands of students from all grades and their parents. The family-oriented and fun-filled event was held from 10 a.m. to 5 p.m. on the school playground, including plenty of delicious international food, games, carnival rides, dancing and auction items. As one of the most prestigious Confucius Classroom affiliated with Confucius Institute at San Diego State University, Riverview offers both Spanish and Mandarin Chinese immersion programs. Staff members of Confucius Institute and Hanban teachers set up their booth to share information of CI/SDSU, presenting a pig-themed craft activity to share the Chinese zodiac knowledge with kids. The presence of CI/SDSU is to promote Chinese culture, culture diversity and the collaboration achievement between CI/SDSU & Riverview to the community. With many educational activities and family fun, the International Fair provide students, as well as the community, an opportunity to learn about and celebrate other cultures. 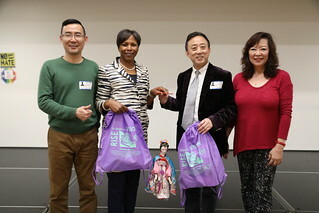 On April 5, 2019, the Consulate General of the People’s Republic of China in Los Angeles and the Confucius Institute at San Diego State University (CISDSU) co-hosted the 2019 South-West Region Chinese Bridge Chinese Language Proficiency Competition at Mission Bay High School. 30 contestants from the 6th-8th grade group, 15 contestants from the 9th-12th grade group participated in the competition. 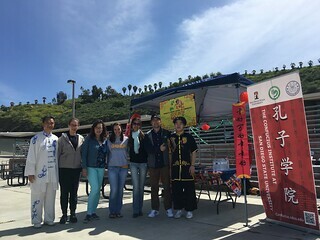 On March 29, 2019, Confucius Institute at San Diego State University (CISDSU) participated in El Capitan High School’s multicultural festival to support its Mandarin language and cultural program. CISDSU Co-Director Dr. Yibin Wang, Project Manager Ms. Anne Chu, Six Arts Instructors Professor Rensong Li, Ms. Dan Liu and volunteer Jack Wang attended the event. 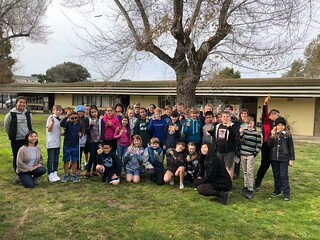 Martial Arts instructor Rensong Li performed Chen style Taijiquan and Five-Animal Exercises, while Jack Wang brought Cudgel play to the students. At the same time Ms. Anne Chu and Ms. Dan Liu wrote Chinese names in calligraphy for the students, which attracted a long queue in front of the small booth. This fair was a great success. Through the event, students learned and experienced different cultures. 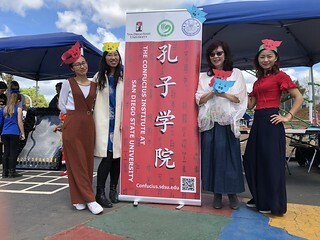 On Friday, March 22, Confucius Institute at San Diego State University (CISDSU) participated in the Asian Festival Day at Kate Sessions Elementary School. 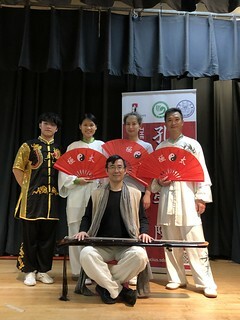 At the school auditorium, CISDSU Co-Director Dr. Yibin Wang, Six Arts Instructors Professor Rensong Li and Ms. Dan Liu, staff member Ms. Chudan Li and volunteer Jack Wang performed Six Arts performances, including Guzheng, Guqin, Taichi, Martial Arts, and Taichi Kungfu Fan. During the Festival, CI staff members Muting Huang and Esther Zhu demonstrated one-stroke painting, Chinese calligraphy, YoYo and Jianzi at the school playground, which attracted many students and parents to participate. The Asian Festival Day concluded the Six Arts Program at Kate Sessions for the 2019 spring term. Throughout the semester, students had the opportunity to “sample” the six arts: Chinese painting & calligraphy, music, origami (zhezhi), tea culture, Mahjong, abacus, Taichi and Martial Arts. 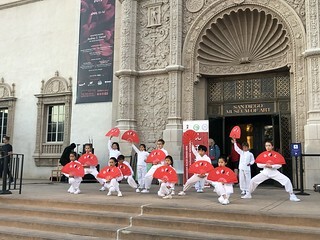 On Friday, March 15, the Confucius Institute at San Diego State University (CISDSU) participated in the event, “On the Steps” at the San Diego Museum of Arts (SDMA). Confucius Classroom students from Barnard Mandarin Magnet Elementary School presented the Taichi Kung fu Fan Dance, Six Arts Instructor Ms. Dan Liu and her two students, Ava and Tasie, showcased their Guzheng performance with a graceful Chinese Umbrella Dance by Harmony Richardson. During the event, CISDSU hosted a booth showcasing Chinese One-Stroke Painting, Calligraphy, YoYo and Jianzi. On February 22, as part of the Six Arts Program at Kate Sessions Elementary School, CISDSU invited Principal of Shenmo Education, Mr. Mianjun Li, to teach the first-grade students something that they have never learned before – the Chinese abacus. Originated from China, the abacus is an ancient tool for calculation. Even today, students are using the abacus for math training. Before class began, CISDSU Managing Director Dr. Lilly Cheng introduced Principal Li to the students. Principal Li, first demonstrated to the students how to present the numbers 1-9 on an abacus. Afterwards, students learned solve addition and subtraction problems using the abacus. They raised their hands and answered Principal Li’s questions correctly. Then the students worked on solving problems on their worksheets and practiced using the abacus. Abacus is one of the important aspects of the Six Arts curriculum of CISDSU. Today’s abacus program at Kate Sessions was a great success. After four classes, students did not only learn how to use the abacus, but have also increase their passion in learning math. 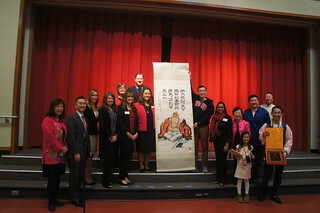 On the evening of February 22, 2019, CISDSU Co-Director Professor Yibin Wang, Project Manager Ms. Anne Chu, Six Arts Instructors Rensong Li and Dan Liu attended the Spring Festival performances at Fletcher Elementary School in Orange County School District. The performances started with a Kung Fu Fan performance by Rensong Li and Dan Liu. Afterwards, Fletcher Elementary School students showcased their Chinese singing, dancing, martial arts and many language performances. The students' loud and confident performances won rounds of applause from the audience. The performances ended with Rensong Li’s excellent Martial Arts performances. At the end of the event, on behalf of CISDSU, Ms. Anne Chu presented gifts to the Orange County School District and Fletcher Elementary school. 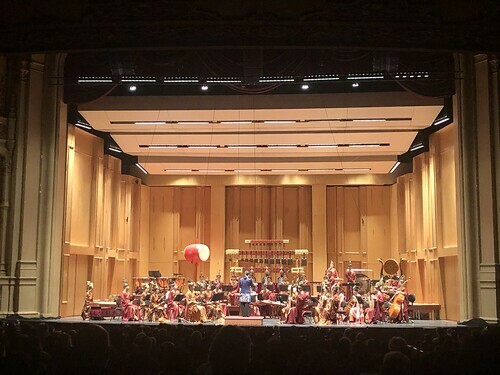 In the evening of February 17, the Confucius Institute at San Diego State University (CISDSU) attended the Chinese New Year Celebration Concert at the San Diego Symphony. The concert featured the China National Beijing Opera Company and Hubei Chime Bells National Chinese Orchestra. The event was supported by the People’s Republic of China Consulate in Los Angeles and sponsored by Shillman Foundation. On February 16-17, 2019, the Confucius Institute at San Diego State University (CISDSU) participated in the 37th Annual San Diego Chinese New Year Fair, which was located in Downtown San Diego. 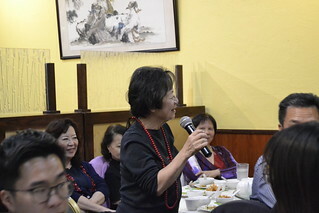 The event was hosted by Chinese Consolidated Benevolent Association of San Diego. It is the 9th year that CISDSU supported the Chinese New Year Fair with Six Arts performances and Chinese culture displays. 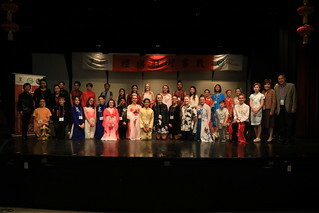 During the two-day celebration, CISDSU presented Six Arts performances featuring students from Confucius Classroom schools, including Barnard Mandarin Magnet Elementary School, Riverview International Academy, Tierra Del Sol Middle School, Pacific Beach Middle School, and Mission Bay High School. Dr. Lilly Cheng, Managing Director of the Confucius Institute, served as the MC for the opening ceremony on February 16. At the event, CISDSU also hosted two booths at the fair, showcasing Chinese calligraphy, Yo Yo, Chinese knots, and other arts and crafts. Check out our event photo album here. 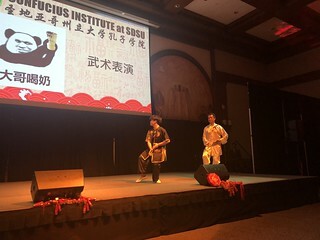 On February 13, the Confucius Institute at San Diego State University (CISDSU) hosted a Taichi lecture at the Six Arts Center. During the lecture, SDSU students participated in the “Horse Stand” competition. 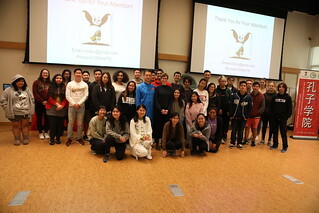 SDSU Asian Thought and Cultures class professor, Joceylyn Killmer, and over sixty students participated in the event. The event was emceed by CISDSU staff member Ms. Chudan Li, the lecture was taught by Six Arts Instructor/Xiamen University Professor, Rensong Li. At 11:00am, Professor Killmer and students arrived at the Six Arts Center. Guided by Ms. Chudan Li, students toured the Six Arts Center and learned about the Confucius Six Arts. Afterward, Professor Killmer and students signed their names with calligraphy brushes. After the tour, Confucius Institute teachers performed Taichi Kungfu Fan to the students. Students were impressed by the firm and flexible Taichi Kungfu movements. Through the performance, Professor Rensong Li introduced the Yin and Yang concept in Taichi, then demonstrated three important Martial Arts movements, including Golden Rooster Stands On One Leg, Squat Down and Up with One Leg, and Horse Stand. After that, he invited students on stage for the “Horse Stand Challenge.” During the challenge, students must hold the Horse Stand gesture as long as possible. Meanwhile, Professor Li put red cups on their legs, arms and on top of their heads, in order to test their steadiness. Many students raised their hands and accepted the challenge. The competition began. Many students held for about 60 seconds, some even held for over two minutes. At the end, Professor Li announced two winners and presented them with prizes. After the competition, students practiced the Eight-Form Style Taichi, led by Professor Li. CISDSU hosts Six Arts culture classes at Six Arts Center year around, including Taichi, Martial Arts, Guzheng, Dance, Calligraphy & Painting, and Self-Defense. Each semester, CISDSU also brings guest lectures to SDSU campus, such as Taichi, Qigong, Traditional Chinese Medicine, Tea Ceremony etc., which are popular among SDSU students, professors and staff. Moreover, CISDSU organizes study abroad program in Shanghai, in order to help students further understand China and Chinese culture. On Saturday, February 9, CISDSU Confucius classroom students put on Six Arts Performances to welcome the Year of the Pig, in celebration of the Chinese New Year. This year, over 500 students and teachers from Barnard Mandarin Magnet Elementary School, Riverview International Academy and Adobe Bluffs Elementary prepared a two-hour program to feature Chinese New Year songs, dance, poem recitations, martial arts, Taichi, Lion Dance, Yo Yo, Chinese painting and abacus demonstrations. The performances were organized by the Confucius Institute at San Diego State University (CISDSU). This year, CISDSU invited more schools, more students and teachers to be involved in the design and preparation of the performances. 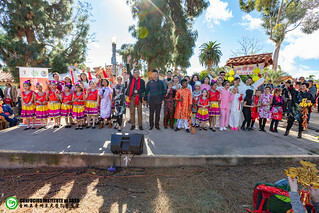 As a result, more families and community members gathered together at Balboa Park to enjoy the festivity of the Chinese New Year. Local news and media, including San Diego NBC 7, San Diego Chinese Press, was present to feature the festival. Confucius Classroom school principals, including Adobe Bluffs Elementary School Principal Edward Park and Riverview International Academy Principal Brian Thurman, also participated in the event to support the students. Teachers, families, and many audiences cheered and applauded for the students. The two-hour program drew thousands of audience to the House of International Cottages at Balboa Park. Check out our event photo album here. 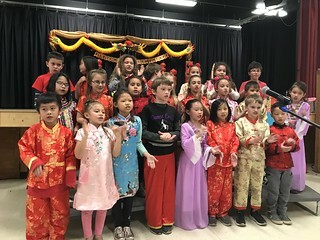 On February 8, CISDSU Confucius Classroom School, Riverview International Academy hosted its annual Chinese New Year Celebration at the school auditorium. To begin the program, Principal Brian Thurman welcomed the students, families and representatives from CISDSU. CISDSU Managing Director Dr. Lilly Cheng presented a gift of One Stroke Painting of Pig to Principal Thurman, wishing the school a Happy New Year. Dressed in red and festive costumes, second grade students performed a Lantern Dance in celebration of the New Year. Later on, kindergarteners performed a poem recitation “Ode to the Goose” and a song “Little Apple”, won rounds and rounds of applause from the audience. 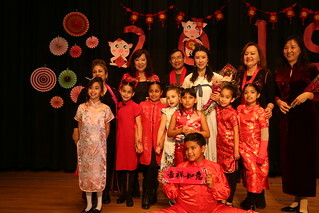 First grade students prepared a song called “Gong Xi Gong Xi” and Chinese Martial Arts performances. Other student performances included Chinese YoYo, Ribbon Dance, Chinese pop music, etc. CI teachers also prepared a beautiful peacock dance along with Hulusi music. The celebration ended with a popular song and dance called “Seaweed Dance” by the fifth grade students. They also invited the audience to dance together which turned the auditorium into a huge “Seaweed Dance Party”, drawing prolonged applause and cheers. 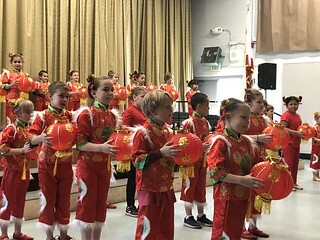 On February 8, 2019, Barnard Mandarin Magnet Elementary held its annual celebration of Chinese New Year Celebration. 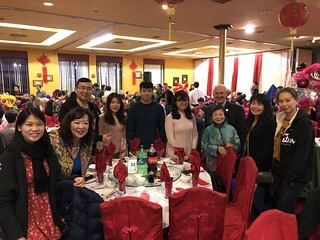 Principal Aida Hernandez, along with CISDSU Managing Director Dr. Lilly Cheng, President of House of China, David Seid, and Principal of Shenmo Education, Michael Li was present at the performance to celebrate the Chinese New Year together with the students. At the same time, the small auditorium was full of parents. 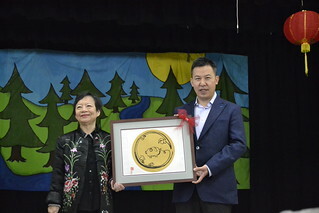 Dr. Cheng and Principal Li presented a gift to Principal Hernandez with congratulations on the success of the performance. Students from all grades at Barnard, including pre-school and kindergarten participated in the celebration. Each student dressed in festive Chinese costume. The programs featured Six Arts, including Chinese martial arts, Chinese dance, Chinese singing, and so on. Their marvelous performance won thunderous applause from the audience, which indicates that Confucius' Six Arts are now deeply loved by students and families. In the morning of February 7, hundreds of students and families from Adobe Bluffs Elementary School gathered at the school auditorium. The annual Lunar New Year Celebration was about to start. San Diego County Board of Education Superintendent Dr. Paul Gothold, Poway Unified School District Superintendent Dr. Mariana Phelps, Poway Unified School District Board of Education Trustee Dr. Darshana Patel, SDSU Provost Emerita Dr. Nancy Marlin and CISDSU Managing Director Dr. Lilly Cheng was present to watch the performances. On behalf of CISDSU, Dr. Lilly Cheng presented a gift of Chinese painting for Adobe Bluffs Elementary School. 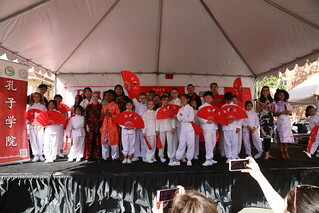 From February 6 to February 8, 2019, Banning Central Elementary School, a Confucius Classroom school of the Confucius Institute at San Diego State University (CISDSU), hosted the 2019 Chinese New Year celebration. 792 students from K-6 grades participated in the celebration. School district representatives, Ms. Felisa and Ms. Estella Patel, as well as CISDSU Co-Director Dr. Yibin Wang, Project Manager Ms. Anne Chu, and Six Arts Instructor Professor Rensong Li attended this event. Principal Ms. Marcia Cole-Fijabi hosted the event. 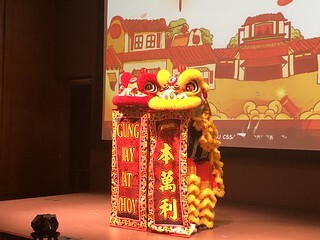 This year’s celebration featured performances such as a dance called “Beautiful Chinese New Year”, Chinese song “Two Tigers”, Martial Arts, Popular Music & Dance “SeaWeed Dance”, Taichi Kungfu Fan etc. Teachers also joined the celebration with a Fan Dance. The three-day celebration attracted many families and community members to attend. At the end of the celebration, Principal Cole-Fijabi expressed her deep appreciation for CISDSU. She hopes to continue to enhance the collaboration with CISDSU and will further strengthen the Chinese program at Central Elementary School. 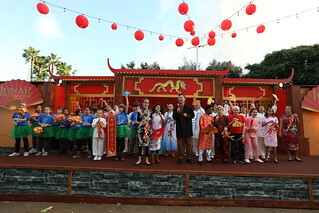 On February 3rd, the Confucius Institute at San Diego State University (CISDSU) celebrated the Chinese New Year at SeaWorld. Through performances, Confucius Classroom (CC) students and teachers showcased their Six Arts talents to the audience. This years’ emcees were CC student Christopher Santy, Kamila Carter, Asha Frye, and Leela Zaveri-Tabb. Our multilingual emcees presented the program and performances to the audience in Mandarin, English and American Sign Language. Each of the performances that students from various Confucius classrooms and Hanban teachers performed, represented one of the Six Arts of Confucianism. The show started off with an extraordinary lion dance by the Abboud family. It was followed by a Yi minority dance titled “July Torch Festival”, which was performed by a group of students from Barnard Elementary. Then, a special performance titled “Blue and White Porcelain” took the stage. During this performance, Dan Liu (Six Arts instructor), Tasie Abboud and Ava Raugust (CC students) all played the Chinese instrument “guzheng”, while Esther Zhu did a one-stroke painting of a pig in honor to the Year of the Pig. Later, another group from Barnard Elementary amazed the audience with their Taichi Kungfu Fan performance. During our afternoon show, students of Riverview Elementary joined the Chinese New Year celebration and showed off their talent with their energetic Chinese Yoyo performance and the Seaweed Dance. For the grand finale, all of the performers gathered on stage to sing “Happy Chinese New Year”. The audience gave a great round of applause to all of the performers. 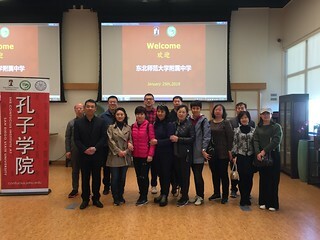 On Saturday, January 26, 2019, the Confucius Institute at San Diego State University (CISDSU) hosted a Chinese Teachers Training Workshop at Six Arts Center where 32 Chinese teachers attended. At the workshop, keynote speaker, Dean Barry Chung of College of Education at SDSU, was invited to speak on the subject of “Value Adaptations for International Work: Supporting the Educational and Career Development of Students.” In his speech, he discussed about value adaptations in education and about how to use Holland’s theory for education and career development. In the afternoon, CISDSU Managing Director Dr. Lilly Cheng spoke on the topic “Teaching in a Multicultural Context.” She used case studies to describe the current thinking on how to educate a cadre of innovative, creative and socially responsible global citizens. During the break-out session, Xiamen University Digital Doll Interaction Robotic Show was displayed and presented to the participants. 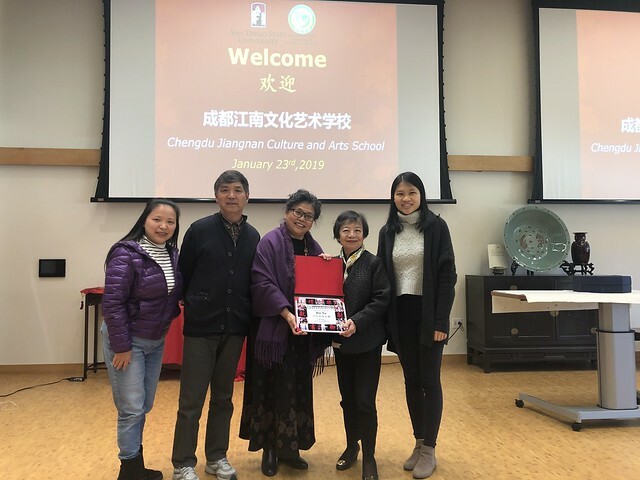 On January 25th, 2019, the Confucius Institute at San Diego State University (CISDSU) received a delegation group from the High School Affiliated to the Northeast Normal University at Six Arts Center. CISDSU Managing Director Dr. Lilly Cheng, Co-Director Professor Yibin Wang warmly welcomed the group. High School Affiliated to the Northeast Normal University is the sister school of Hilltop High and Hilltop Middle School, both are Confucius Classroom schools of CISDSU. The visit aimed to strengthen the relationship between both schools and further promote Chinese language and culture in San Diego. 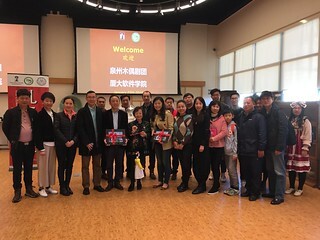 On January 25th, 2019, invited by the Confucius Institute at San Diego State University (CISDSU), the Quanzhou Marionette Puppet Show Inheritance and Protection Center and College of Digital Technology at Xiamen University visited the Six Arts Center. CISDSU Managing Director Dr. Lilly Cheng and Co-Director Professor Yibin Wang warmly received the group. 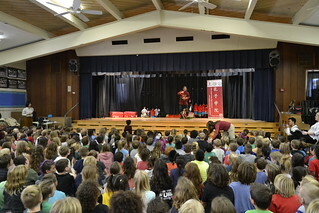 On January 24th, 2019, organized by the Confucius Institute at San Diego State University (CISDSU), the Quanzhou Marionette Puppet Show Arts Troupe performed at Kate Sessions Elementary School. Over 400 Kinder to 5th grade students and teachers gathered at the auditorium to watch the performances. From January to March 2019, CISDSU hosts the Six Arts Program at Kate Sessions. Students from kinder to 5th grade are receiving Chinese culture class each day. The subjects focus on the Six Arts, including Chinese painting, music, Guzheng instrument, tea ceremony, abacus, paper cutting, Taichi and Martial Arts. On January 23rd, 2019, Quanzhou Marionette Show Inheritance and Protection Center and College of Digital Technology at Xiamen University put upa fantastic puppet show, and digital–human interactive project atE3 Civic High School. The program was only made possible by the sponsorship from Confucius Institute of San Diego State University. The performance, a mixture of traditional puppets and modern age robots show, was unique and only available after these 2 organizations teamed up recently. In the hands of the troupe performing artists, the puppets of Chinese characteristics moved with life-like actions and emotions. The majestic performances have won thundering applause from the teachers and students of the entire audience. In addition to the marvelous performances, graduate students from the College of Digital Technology at Xiamen University had assembled numerous robotic puppets which combine traditional puppet characters with sensory robots. Many faculty members and students eagerly engaged in robotic maneuvering first hand excitedly. Dr. Cheryl Ward, Chief of Academic Innovation, praised the show enthusiastically, after watching the whole performance and exhibition with great interest, "This is a very meaningful event. We have learned more about China through the performances, and the robots show let our scholars know more about a modern and fast-growing China which is very important for us." E3 Civic High has been a Confucius Classroom school site affiliated with Confucius Institute at San Diego State University since 2014. On January 23, Chengdu Jiangnan Arts and Culture School visited the Six Arts Center. The delegation was led by Principal Ms. Bin Xu. CISDSU Managing Director Dr. Lilly Cheng, Six Arts Instructor Professor Rensong Li, staff member Chudan Li warmly welcomed the delegation. © 2009-2019 The Confucius Institite at San Diego State University. The statements found on this page/site are for informational purposes only. While every effort is made to ensure that this information is up-to-date and accurate, official information can be found in the university publications.